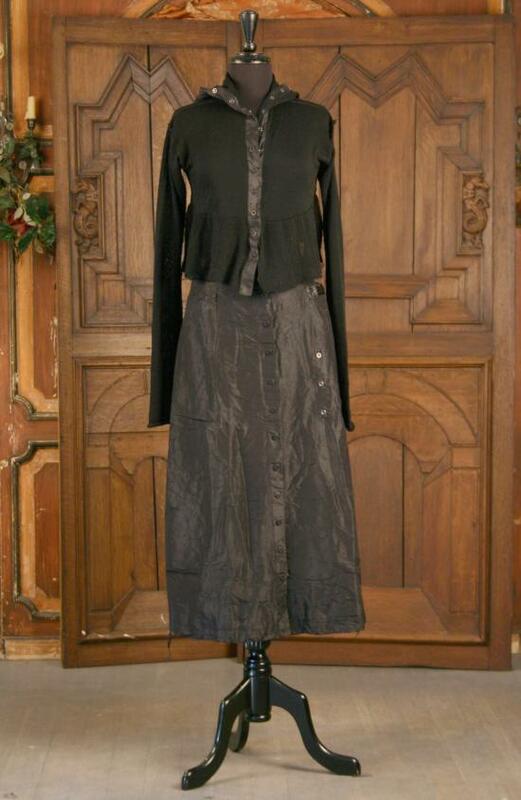 Mo Koshji Rin Skirt — The coolest skirt, ever...in pure silk with details that will make you swoon with delight. A continuous wrap with lined waistband and Mo Koshji ribbons on the inside, two front pockets, and snaps all the way down that can create any number of ways to wear this skirt...snapped up, open over pants, backwards and inside out. The waistband can also be unsnapped to wear it lower on the hips.